develop black spots. This is not an indication of spoilage. In fact the black spots are spores which usually form if the cultures receive too much oxygen or heat. We use Australian Certified Organic soy beans, which are sourced locally and harvested using sustainable farming practices. 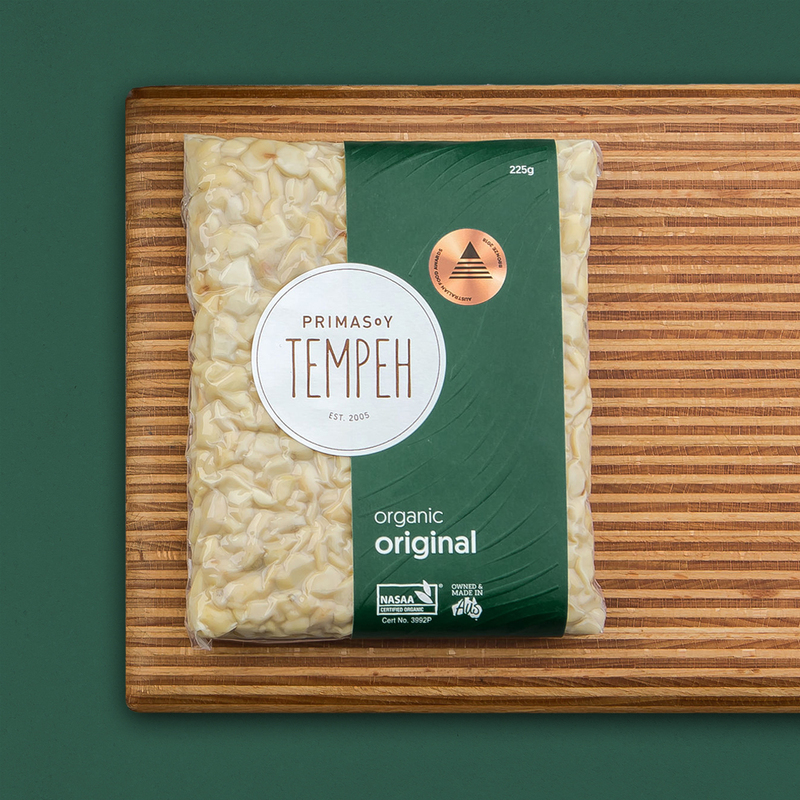 Primasoy tempeh can be found fresh (refrigerated) or frozen. Fresh tempeh can be kept in the refrigerator for up to 7 days or frozen for months with little deterioration in texture or taste. 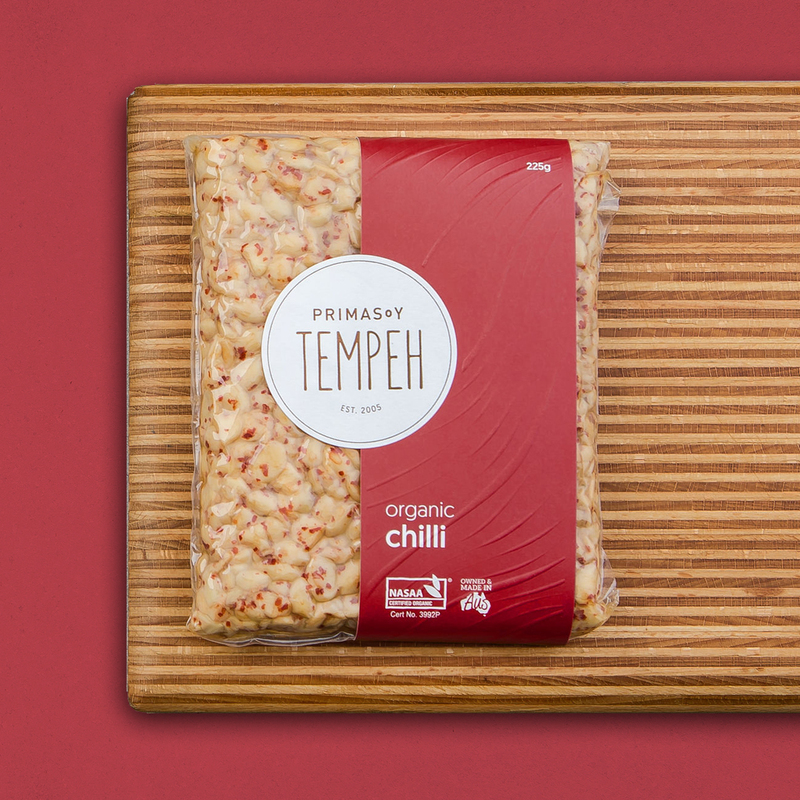 Tempeh is best stored without stacking, allowing it to 'breathe'. Occasionally, tempeh may develop black spots. This is not an indication of spoilage. In fact the black spots are spores which usually form if the cultures receive too much oxygen or heat. We use Australian Certified Organic soy beans, which are sourced locally and harvested using sustainable farming practices. 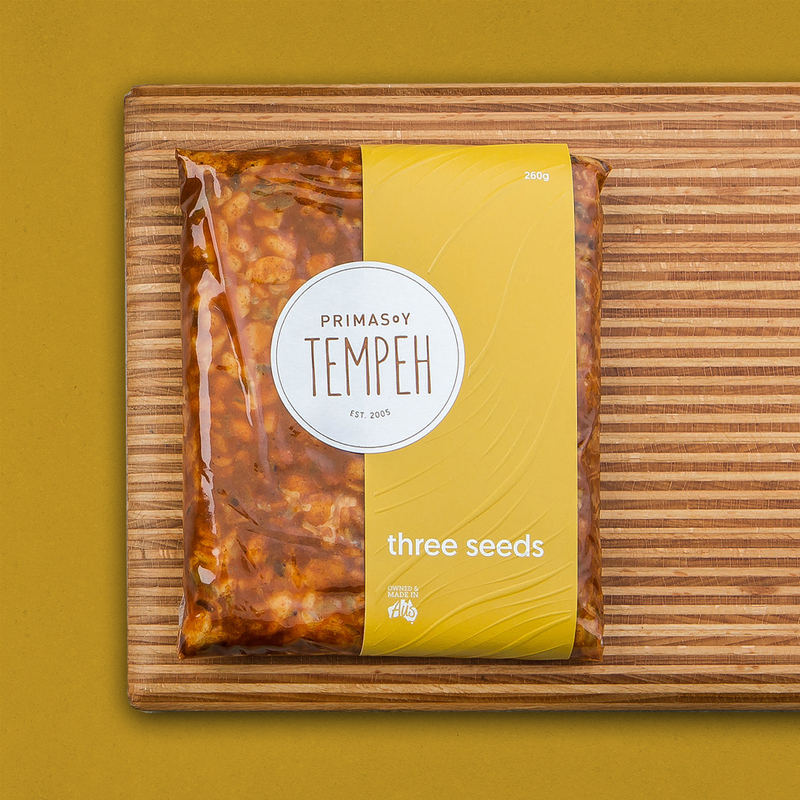 Marinated varieties of tempeh are the perfect as a quick meal. Pan fry, grill or heat in the microwave for a quick snack, or add to salads, in curries, or stir fries.